Has anyone found a way of putting floppy disk programs onto the C64 yet? We all need a floppy disk drive too. HA! This is very strange still talking about floppy disk drives. There is a recent thread about getting programs from old diskettes. Thanks crispin. Has anyone found a way to attach cartridges yet? 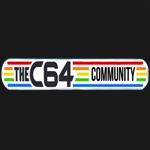 You can use the same type of files as the C64 emulator Vice uses such as .d64 for disk, .prg for program files, .tap for tapes ect.... With the 64 mini you can put these files that you might download on to an SD card or compatible USB memory stick. No port needed as original cartridges have been ported to .crt files, a copy of what was on the cart rom and the mini runs these just fine. You just need to find what your looking for on the web. lemon64.com is a good place to look at games and each page should have links to other sites that offer download files. Okay, I just downloaded Moon Patrol to a USB. It is a .64 file. How do I load it into the C64 mini? The USB icon does not appear. And you formatted the USB stick as FAT32 and included an MBR (a Master Boot Record)? More about this important step can be found HERE. formatted, USB. Got the upgrade on the USB. C64 still does not show USB icon. How do you include a master boot record? Just follow the instructions on the link I posted above, in my third reply. I must be missing something. It's not displaying the USB icon on my C64 mini. Classic SD card's with a USB reader/adapter also work on the mini, and these work without fuss. Make sure the firmware update is in the root directory, games can be stored in folders. Is there the USB symbol beside the monitor symbol? I'm sorry. Can you tell me step-by-step how to check that on windows please. Hmmm... not sure what else to suggest other than possibly trying another USB device? If you've updated your Mini's firmware and formatted your USB device as described, it should work. If you formatted your SD card or USB stick with SD Card formatter, there should be MBR+FAT32. Download firmware from official page and put it at root of your stick / SD Card. Plug it in Mini. Go to OPTIONS / SYSTEM from Mini menu and there you will have option to upgrade it. Do it. NOW, after restarting, USB icon should appear. Success! Forget using USB sticks and use mini sd's with a USB adaptor. I now have hundreds of commodore 64 games loaded into my C64 mini. Thank you for your help everyone.